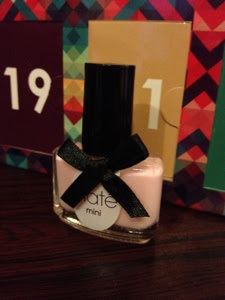 Ok, so I'm a little behind on letting you know what's been behind my advent doors this week! All of the treats have been fantastic and I'm looking forward to giving them all a try. 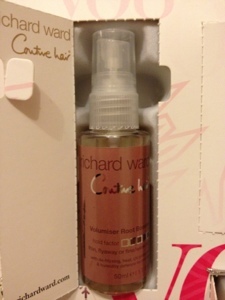 Richard Ward root booster - this will be interesting to test out on my fine hair. 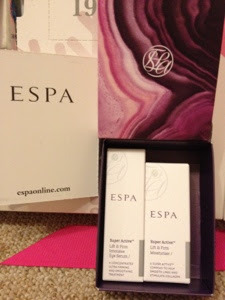 Espa mini kit - this contains an eye cream and a moisturiser. I've not used Espa products before so intrigued to see what these are like. 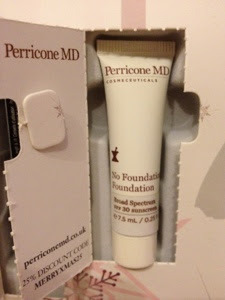 Perricone MD No Foundation Foundation - can't wait to try this. 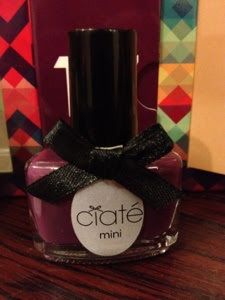 It's a bit of a cult product and supposedly gives you a naturally flawless looking face. 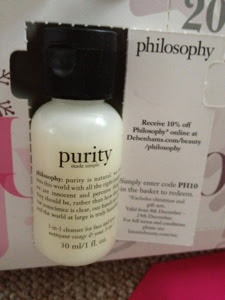 Philosophy Purity 3 in 1 cleanser - I'm not sure about this one. I think my REN cleanser is my HG, so I'm a bit unwilling to swap it at the minute. 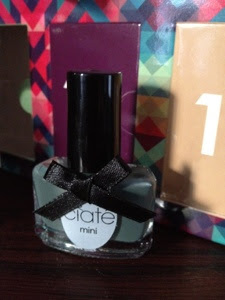 Vintage, a medium grey colour. What have you had in yours? oh the colours of the nail polishes are so so cute! These all looks lovely! The root booster sounds interesting! yes, i'm hoping it works wonders on my hair! oooh...i think you could get either of those two. they both look really interesting though. 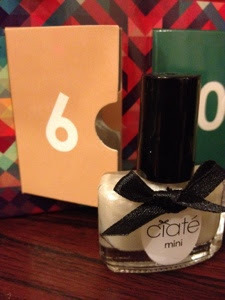 I want your ciate Calender so bad next year for sure getting one love the purple one.